The bond between an animal and trainer is a super-duper big deal. And in no case more so than Owen and his velociraptor Blue in the Jurassic World movies. Of course, Blue's been living out in the wilds of Isla Nublar since the park shut down, but that doesn't mean she's forgotten her training. Your kid can now suit up as the super lethal, and super awesome Blue by slipping into this Inflatable Blue Velociraptor costume. With dramatic inflating action, they'll be blown up to dinosaur size! It just takes a few batteries and they'll be able to recreate some of the most memorable moments from the Jurassic World movies. This Child Inflatable Blue Velociraptor Costume is officially licensed from Jurassic World Fallen Kingdom. It's 100 percent polyester, made of a windbreaker-like material. A drawstring secures around the face opening, but otherwise, the suit is secure and will blow up when the fan is activated. Just use 4 AA batteries to power the integrated fan, and your child will be ready for Jurassic action! 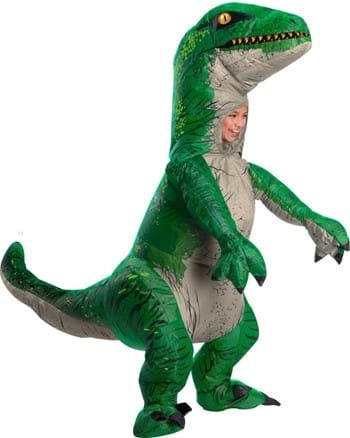 We're sure any boy or girl will love suiting up as a velociraptor. After all, they've been the most popular dinosaurs since the first Jurassic Park movie came out back in the 90s. 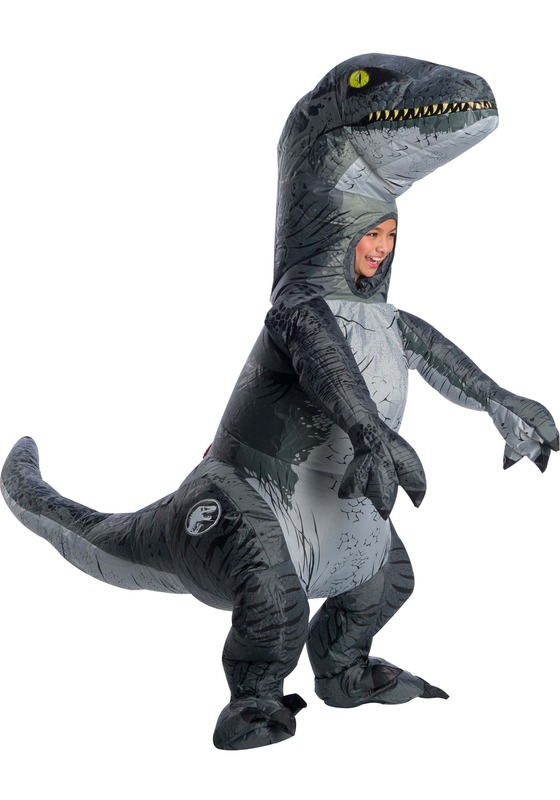 We've got plenty of Dinosaur styles to match this one, too, including the inflatable T-Rex costume. So, get your entire family into the fun, and let's go get dino wild!